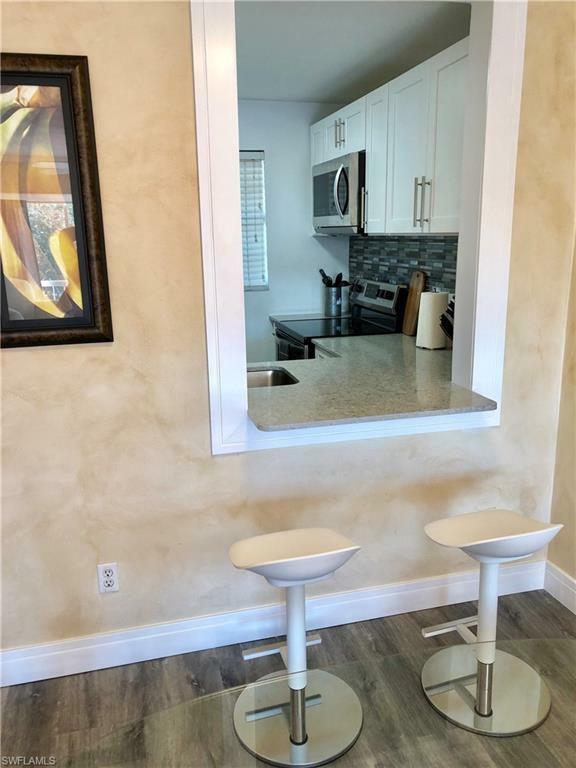 1195 Clam Ct #201, Naples, FL 34102 (MLS #219013623) :: Clausen Properties, Inc.
55+ community. 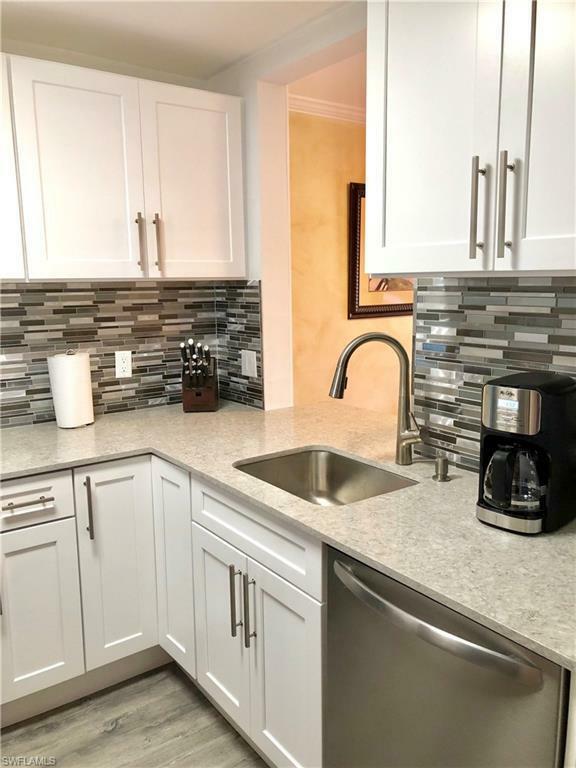 DIRECT GULF ACCESS condo at OYSTER BAY. 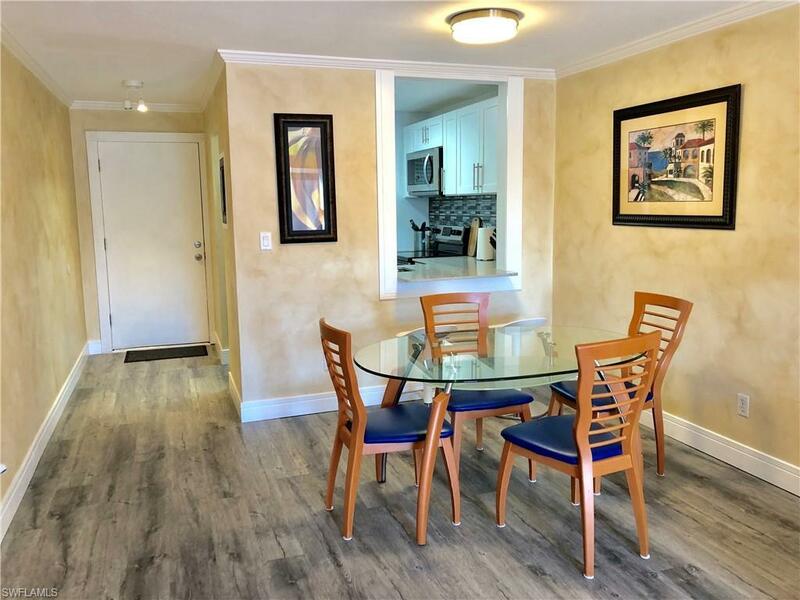 Remodeled 2br/2ba END UNIT with CANAL VIEW. Eastern exposure, extra windows, lots of natural light. 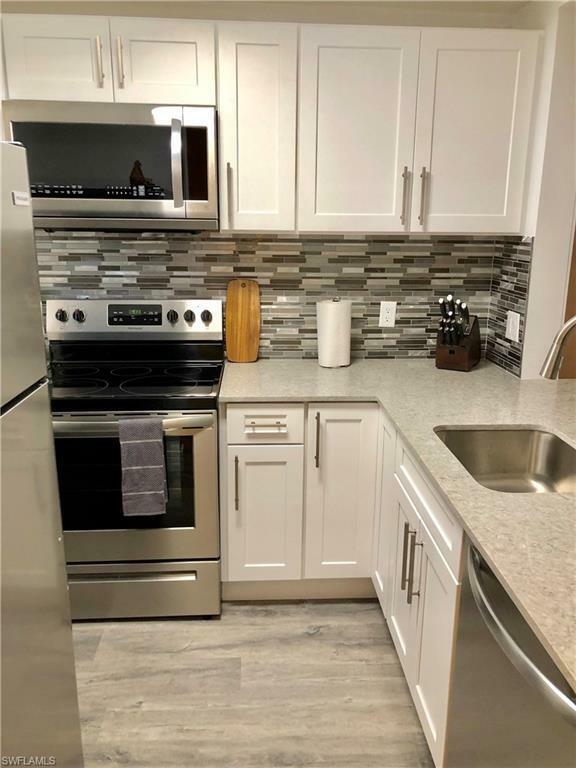 Condo features many upgrades: granite counter tops, modern white cabinets, stainless steel appliances and luxury vinyl throughout the condo NO CARPETS! Queen size bed in the master bedroom, his and her closets and extra windows. Shower only in the master bathroom. Guest bedroom features queen size bed, closet and extra windows. Guest bathroom has new modern vanity and a tub. Common laundry and extra storage. Dock lease available. Only one car permitted. Pet friendly community (one small pet).